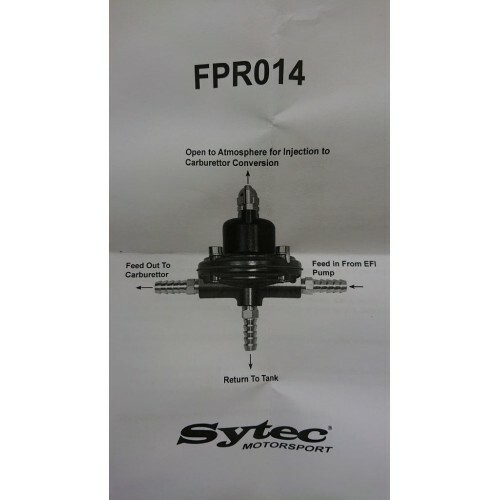 FSE Sytec (Malpassi) Brand adjustable fuel pressure regulator for applications where the vehicle is to be converted from fuel injection to carburettor, regulating fuel pressure from a maximum of 88psi down to 2psi. This regulator does require a return line to the tank to relieve the excess flow/pressure. Also features a vacuum port enabling manifold pressure sensing if required. 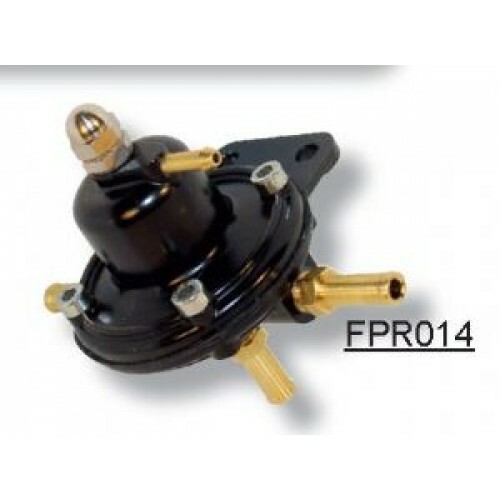 An ideal regulator for use with our bike carburettor kits - meaning that the old injection pump (often in-tank) can be retained and thus much simplifying the conversion. NOT suitable for throttle body conversions (EFI) - please see our other regulators.